Berry Gordy's old homestead in Detroit—the luxurious 'Motown Mansion'—just hit the market with a chart-topping ask: $1,295,000. The "mansion" word gets tossed around for a wide variety of homes, but Gordy's old place earns it with over-the-top amenities and a massive footprint. Built in 1917, the 10,500-square-foot house comes with ten bedrooms, nine bathrooms and four fireplaces. And we haven't even made it to the carraige house or the 4,400-square-foot "athletic building" yet. 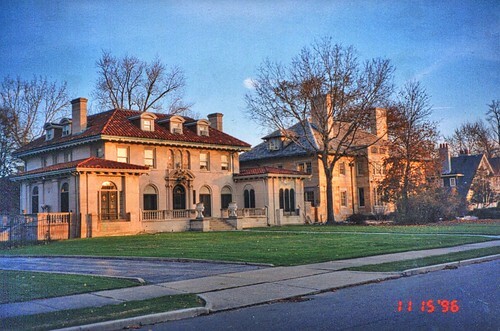 Sitting on over two acres of Boston-Edison real estate, the house was built by lumber baron Nels Michelson, whose love for timber resulted in plenty of wood detailing. The Olympic-sized swimming pool and adjacent "athletic building" were added by the in the 1920s. That's where you'll reportedly find a bowling alley, gymnasium, and a billiards room. Gordy only lived there full-time from 1967-1969, but held onto the property until 2002. That's when he sold it to neighbor Cynthia Reeves, who grew up watching his star-studded parties and launched a restoration that the state of Michigan called "meticulous." 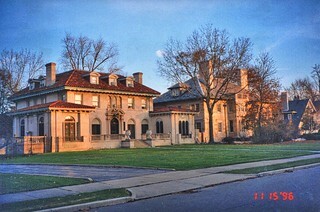 It's now Detroit's second-most expensive residential listing, though it far outclasses the chunky McMansion occupying the #1 spot.